I added a little bit of beet juice to give this scrub it’s pretty pink color. You could use red food dye, but I don’t really recommend it! -Add the coconut in a medium bowl. – Work with the coconut oil with the back of a spoon to mash it. -Add the Epsom salt and mix with the coconut oil. 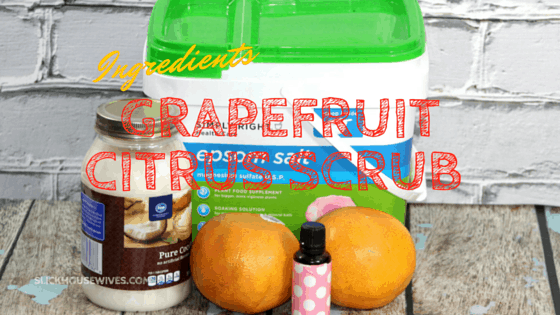 -Mix in the Grapefruit essential oil. 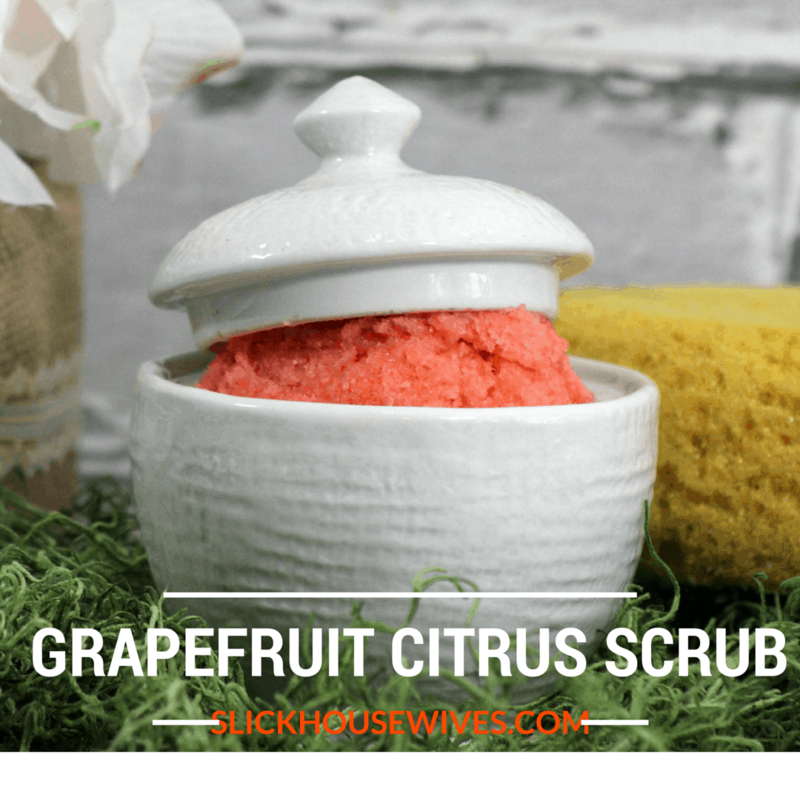 -Mix in the Grapefruit zest. – Stir until fully mixed. -Store in a jar of your choice. Keep Scrub refrigerated. Benefits: The benefits of Grapefruit Essential Oil inspires and clears the mind while eliminating emotional confusion and increase ones sense of humor and well being. To use: Rub a little bit of the scrub on your body or between your hands with a little bit of water. Rinse with warm water to remove excess oils. It will give your skin a nice exfoliation and leave your skin feeling soft and smooth and smelling fresh and clean. 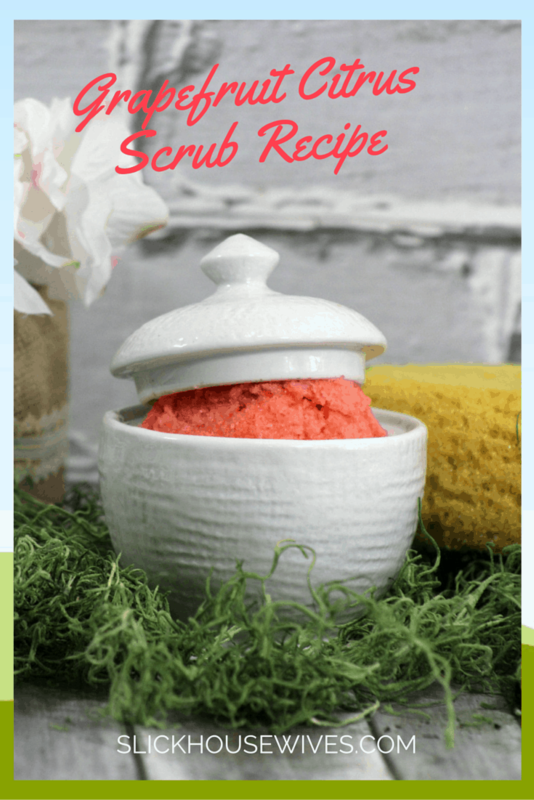 Great for use in the shower or bath and would recommend using this scrub in the morning as opposed to the evening. 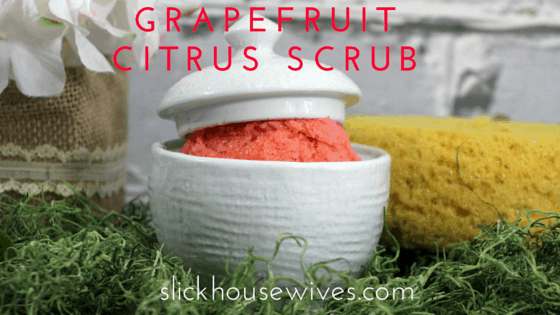 Grapefruit is a great ‘wake me up’ scent! A Few Words of Caution with Grapefruit Essential Oil: Can cause skin irritation if exposed to strong sunlight after application. Should probably be avoided during pregnancy. - Work with the coconut oil with the back of a spoon to mash it. - Stir until fully mixed. If you enjoy essential oils, let me know how you use them in day to day life! I LOVE the smell of grapefruit. It so clean and energizing to me! I can't wait to try this out!